Have you ever heard of or delved into Social Media Optimization, aka SMO? In this article, Shane Barker details how SMO can be used to boost your website ranking. It’s another article in our “Great Articles You may have missed” series. It is impossible to separate social media and SEO, as these two strategies are deeply interwoven. Both these inbound strategies focus on building a solid online presence that helps in naturally attracting the target audience to your brand. To promote your brand, and to boost your online presence, you need to blend your social media and website. You can fully exploit social media on your company website by following four simple steps. Integrate social sharing buttons on your website. It’s the simplest way of integrating your social profile into your website. Include direct web links to your social media channels from your website and again from your social media profile back to your website. Besides, you can also add an option of social media sharing buttons on your blog posts. Social sites like Facebook and Google Plus, enjoy a high web authority, so links on these social media sites are often considered higher-quality links. Even if your social profile is relatively new, it will start ranking well in the SERP’s as Facebook has an overall high authority. Allow users to sign-up or log-in using social logins. By adding this feature to your website functionality, you can give better user-experience and experience an increase in registration conversions. To give maximum exposure to your social media profiles, you need to align your keywords and social media. Keywords play an important role. If you are not optimizing your social profiles in the right way, you need to devise a better social media strategy. You need to smartly structure your keywords and target key phrases into details of your social profiles or social media pages, such as page name or company info. But add it in a very natural way else you risk looking spammy and promotional. Adding foundation-level keywords into your page, helps you gain visibility in keyword searches on Google and also rank better within the social network searches. If your company maintains a Facebook and Twitter page and you are still struggling to get traffic from these social media sites, you probably need to rethink your social media strategy. Getting fake likes or requesting friends to make likes is of little to no use. The total number of followers and connections your social media profiles boast, has a great influence on your website rankings. To state the obvious, a company with a mere 1000 twitter followers, won’t receive the ranking bonus of a renowned brand with above million twitter followers and Facebook likes. However, to keep it fair Google has some stringent rules to it, quality of your followers also does matter such as buying thousands of proxy followers can do more harm than good to your rankings. So, you need to grow your following organically. It is a slow process but effective in the long run. Again, to grow your network of followers organically, you need to consistently post engaging content in the form of informative articles, useful tips, short & crisp videos, fun facts, and more to keep your audience hooked. Present your brand uniquely and use the same voice to update your users regularly. A growing no. of followers certainly gives you more visibility on the search engines. Oreo is an excellent example of growing follower base by sharing engaging content consistently. 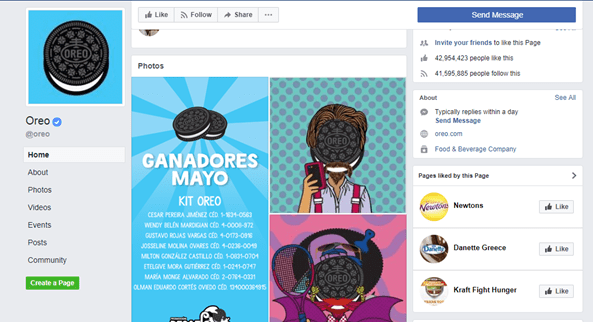 Brand exactly knows what can be a huge hit with the audience over social media and always comes up with content that goes viral be it Oreo’s daily twist Facebook campaign or their entertaining cookie vs. cream videos. At present, the brand enjoys a huge following on social media platforms such as above 42 M Facebook fans, 599K Instagram followers, 14M YouTube followers, well they have surely done a commendable job here. Another way to use social media to your advantage is by encouraging more external sites to link to your content. Further, to gain increased authority in the Google, the more diverse external links you get, better it is. However, to make it happen, as we mentioned earlier, you need to post consistently high-quality and engaging content on your social channels. Once you start posting content, you also need to rigorously promote your content by sharing it into existing threads and discussion forums. Doing this exercise maximizes your external link sources and also helps you emerge as an authoritative leader in your domain. To extend the reach and visibility of your posts, you need to optimize your posts for the searches. You need a strong anchor for your post to increase its engagement. It can be a well-designed infographic, a video, a link to a detailed case study or an article. Whatever type of content you select, you need to make a title that is short, descriptive and attention-grabbing. Next, when you share this piece of content, you need to frame your title with text that is well-optimized for a specific type of search. Not sure? Let me explain with an example. If you have written a detailed blog post on the “Best Tips for Baking Butter Cookies,” then it is good to frame it with a specific query. 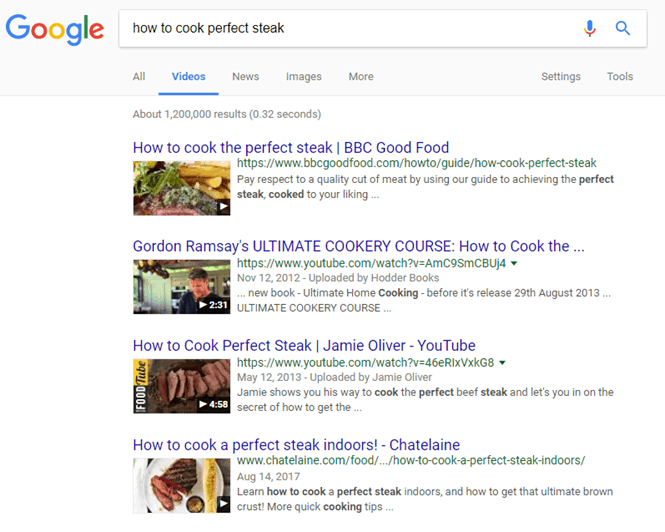 Perhaps something like, “Have you ever wondered how to bake butter cookies?” Again, you can also add some seasonal keywords into the title, to climb up the ladder in the Google search results. Below is a similar example for steak. Further, you can use hashtags relevant to your content to promote it in a better way. Hashtags with the above title can be #bakedgoods, #homemadebuttercookies, #bakedbuttercookies, and more. Moreover, Google also favors most popular social media updates by displaying them in the top sections of its SERPs. There have been many changes in the Google Algorithm. But one thing that remained constant since the very beginning of SEO is the importance of quality content. To boost your website ranking, you need to consistently produce and share quality content. And social media is no different. The content you share on your social channels needs to be high-quality, it should add some value to the readers. Your posts can be informative, entertaining, educative, but must add some value to your audience and you will notice a great number of people will be attracted to your brand. However, to get success with content, you need to consistently produce great content only then you will be able to get your message across and enjoy good readership. Unlike regular blog posts, microblog posts are simply tiny blogs. They are typically a sentence or two in length and are used to share short pieces of information, or links to videos, articles, images or any kind of news updates or tips. 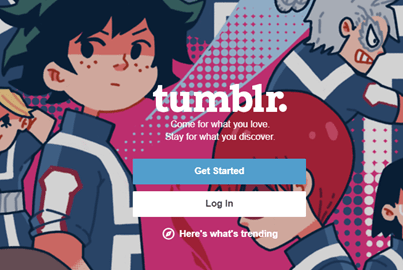 There are many specific microblogging sites as well such as Tumblr, FriendFeed, Posterous, and more. Microblogs can be utilized to fuel trending social media posts. And the best part is they can be automatically or manually directed to social media platforms depending on the nature of microblogs. It helps companies in providing customers with a crisp and steady stream of information and also increases brand awareness. Also, generating quality content consistently gives a lot of exposure to your site and social media profiles on the search results and also grounds for improving your domain authority. Social bookmarking refers to the submission of website links to social websites. All submitted links are public and help in networking and participate in active discussions and more. If you are thinking that you are probably doing the same on social sites like Facebook or Twitter, let me break the news to you – there are specific sites for this purpose. Sites like Reddit, StumbleUpon, Digg, Bizsugar, Scoopt.it, etc., are popular social bookmarking sites. The web pages bookmarked on these sites helps you earn a quality backlink. And as we know, quality backlinks can dramatically help a website in increasing their Google ranking. That is why it is essential to make social bookmarking a part of your SMO strategy. Your social media efforts and search engine optimization of your website is deeply connected. To improve engagement with your social media posts, you need to include relevant keywords in your social content or posts. Use carefully selected keywords in your links, posts, and hashtags when sharing content on social platforms. This practice helps you to increase your ranking in the social search results and also increases the visibility of your brand to a great extent. Sometimes, a carefully selected hashtagged post can work like magic for you and makes your post more searchable. Again, using relevant keywords and trending hashtags may help a follower find your profile, more of your similar kind of content, and if they find it engaging, they may click through to your website directly. So, you cannot afford to ignore keywords when creating your social content. Your social media posts have the capability to go viral. When that happens, they are no longer limited to only social networks. They are aggressively used in articles, blog posts, ebooks, and even in engaging videos and presentations. So when you create compelling social media content, that other brands or people want to refer, your content, this allows you to gain backlinks to your social media profiles and even website. And this helps you in increasing your authority with the search engines. Lastly, there is no doubt that social media ties directly to search engine rankings of every website. So, your social media acts as an extension of your SEO practices and greatly impacts your reach, brand identity, popularity and overall online presence. Do you utilize SMO techniques? Do you have any additional tips you’d care to share? Please leave your comments, below. Google Told You How to Rank. Did You Listen? This article previously appeared on shanebarker.com, under the title “Top 10 SMO Tips to Boost your Website Ranking“. It is republished here with permission.